Daniel Ricciardo’s decision will affect more than just himself. 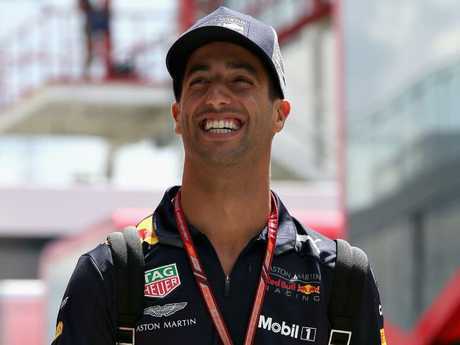 THE dominoes in the driver market are falling ahead of the Hungarian GP, with Red Bull expected to be the next team to confirm their 2019 line-up by tying Daniel Ricciardo down to a new contract. But although the summer break is often a critical deadline imposed by teams as they look to make an announcement, there are still plenty of drivers in limbo up and down the grid, and plenty of rumours floating around the paddock. Carlos Sainz is on loan from Red Bull to Renault this season but whether he'll stick around for a second year with the outfit depends on whether Ricciardo inks a new deal with the energy drink team. "What I know as a matter of fact is that until Red Bull and Ricciardo don't take a decision and don't do an announcement my future is still uncertain as I still need to be available for Red Bull," Sainz said. "Until that thing clears it's impossible to say something and when that thing clears I will be the first one to start talking about it. "I've already spoken about a two-year deal. First, my priority is what Red Bull and Ricciardo are doing and then myself together with my management team will find the solution I'm sure." That's just one of the many scenarios in play as F1's "silly season" heats up - and the Sky Sports F1 pundits have been rounding up the latest gossip. 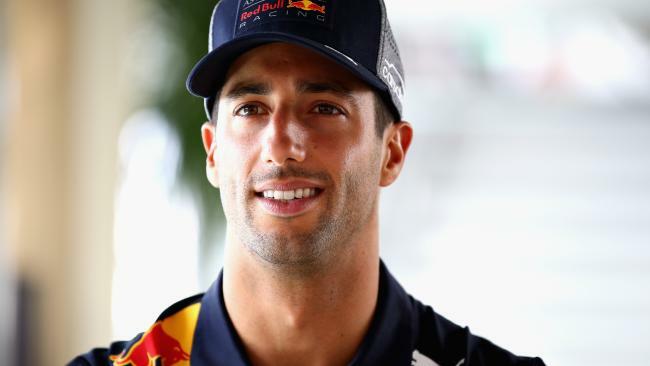 Daniel Ricciardo’s next move will dictate what Sainz does. RAIKKONEN NOW AHEAD OF LECLERC AT FERRARI? With both Mercedes drivers confirmed for 2019, Ferrari now hold the most attractive seat on the driver market as Sebastian Vettel waits to find out who he will partner next year. And former F1 star Martin Brundle put it perfectly when he said: "I think there's divided opinion in Ferrari on whether they're going to keep Kimi Raikkonen or not for another year." For months, paddock consensus has been that Charles Leclerc - the Scuderia protege dazzling in his first F1 season at Sauber - would get the drive, his signature thought to be a matter of when rather than if. However, has the pendulum shifted back in Raikkonen's favour for another extension? "A lot of decisions are now going to be made by (new Ferrari boss) Louis Camilleri, and one of those decisions concerns Kimi Raikkonen," Sky Sports F1 pundit Ted Kravitz said in Germany. "The information I have from colleagues in Italy is that it's now looking more and more likely that Raikkonen will keep his drive at Ferrari. "What Louis Camilleri doesn't want to do as one of his first jobs in charge of Ferrari is to come in and disrupt things. "So the thought is, because he wants everything to bed down, he wants to confirm Raikkonen next year as Vettel's teammate." However, a familiar face could also enter the race. It's the most outside of outside bets, but Brundle wrote in his most recent Sky F1 column: "I'm pretty sure that Fernando Alonso will be having a word with the new boss Louis Camilleri in one last desperate attempt to regain a winning car. "Judging by his on-track performance and radio transmissions in Hockenheim he's at the end of his tether otherwise." Kimi Raikkonen’s future is up in the air. WHAT NEXT FOR HAAS AND SAUBER? Ferrari's decision will have major ramifications further down the grid, especially with the Ferrari-powered teams. As Kravitz added: "It (Raikkonen's extension) would mean Charles Leclerc potentially moving from Sauber to Haas, instead of where we thought he was going to be earlier this month." Haas are also thought to be monitoring Sergio Perez's situation at Force India. But Sauber are also now an appealing option for drivers for 2019 due to their Ferrari link and the fact they are aiming for fourth place themselves next season. 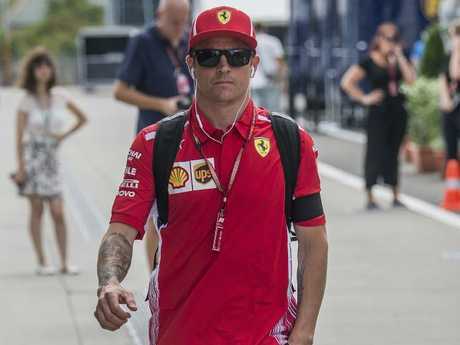 Raikkonen's name was even floated about as an option for the team, the Finn rumoured to be tempted in ending his F1 career with the team he started with 17 years ago. "Knowing (team boss) Fred Vasseur, I don't think he would be doing that," Sky's Paul di Resta said. "Fred's very much about bringing through young talents." Kravitz has some other contenders for the seat, presumably alongside Marcus Ericsson who still has strong support within the team. "Antonio Giovinazzi is one name in the frame," he said. "If they're going to continue getting Ferrari personnel, Daniil Kvyat is not impossible. "But here's a funny one - how about if Stoffel Vandoorne doesn't find his contract renewed at McLaren next year? Fred Vasseur is very keen on Vanndoorne, he's always rated him, and ran him in GP2." Stoffel Vandoorne could be on the move. Without a point in the last seven races and 11-0 down in qualifying to McLaren teammate Alonso, Vandoorne is certainly enduring a disappointing season and it's no wonder the team haven't yet committed to him for 2019. "If he does go, Toro Rosso along with Pierre Gasly is a maybe," said David Croft. "Who else do Toro Rosso have to benchmark Gasly? They could try Lando Norris but McLaren have already said 'no' to that." Another reason for McLaren's delay, of course, could be that they're waiting on Alonso for a decision on his future - he says he will think about it more over the summer break - but could he stick around for an all-Spanish affair? 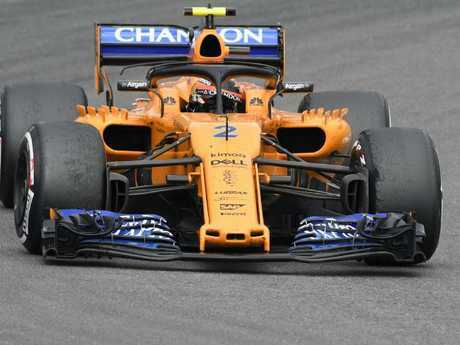 "Carlos Sainz might be in the marketplace and I would imagine him talking very heavily to McLaren," Brundle said. Croft added: "If McLaren do go for Alonso and Sainz, they may want Norris to have a full season at Toro Rosso." A RENAULT/FORCE INDIA/WILLIAMS LOVE TRIANGLE? Although Renault insist they're happy with Sainz while Force India claim to have first option for Esteban Ocon, there appears to be a move on the cards here. Red Bull will obviously have a big say on Sainz's future, as will Mercedes with Ocon, but speculation continues to mount the Frenchman will get his move to a French team in Renault. "I believe Ocon will go to Renault," Brundle said. "He's obviously in the Mercedes camp long-term. Will he leave that camp? I doubt it." Paul di Resta, meanwhile, noted: "It would be a great move for him, but where does that leave Force India?" Where it leaves Force India, should Perez stay, is with an attractive seat available - and one that could be filled by Lance Stroll. "It could solve some Force India issues," Brundle said. Williams are expected to keep faith in Sergey Sirotkin, but would still have a space available should Stroll leave. There are plenty of questions, and we could get some answers this weekend.